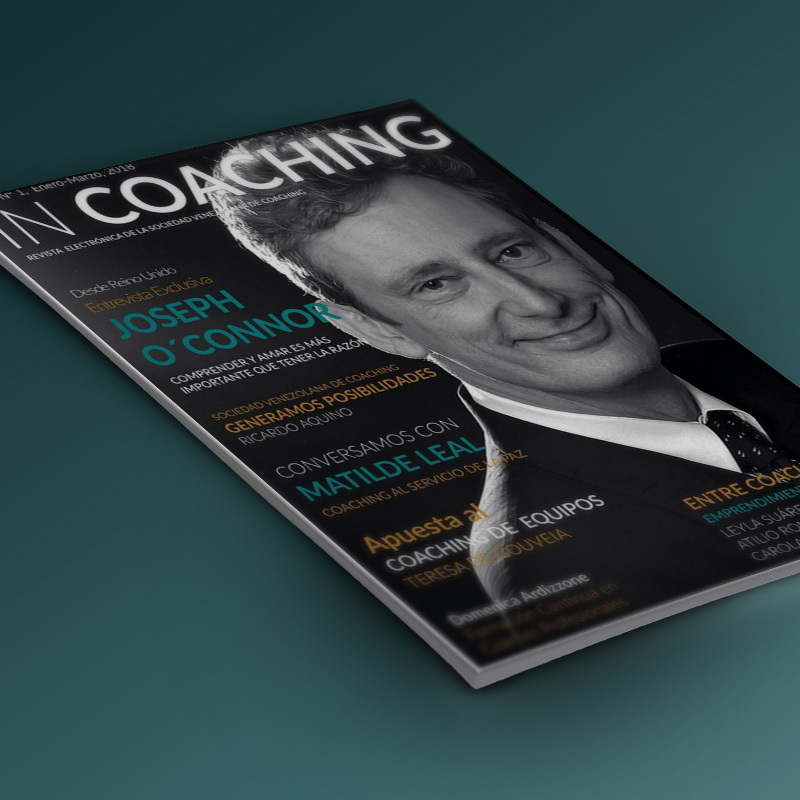 The first international interviewer of IN COACHING is world renowned anthropologist Joseph O’Connor, renowned Master Coach Trainer and consultant to major multinationals, including British TELECOM, HP Invent and British Airways. O’Connor is one of the founders of the International Coaching Community, a community that has certified more than 12,000 coaches on every continent. He is the creator of Lambent d Brasil and the author of 18 books translated into 21 languages. He is one of the most read authors in the field of NLP, including the bestseller “Introduction to NLP” in co-authoring with John Seymour. In Venezuela, her book “Coaching with NLP” written with Andrea Lages is a classic for professional or training coaches. O’Connor is the creator of Systemic Audit, an advisory process focused on solving critical nodes in business systems. Our interviewee takes his skills as a world expert between Hong Kong, London, Singapore, Brussels, Madrid and Latin America with the certainty of the great experts. There is an essential question that we should ask a coach of the international stature of Joseph O’Connor: What do you consider today as the most important challenges for coaches around the world? Same as always. Help your clients understand themselves, recognize that “the world is the way it is” and focus on what each one can contribute. To realize that understanding and love is more important than being right. According to your answer, what could be the contributions of coaching to the world? If we look at the world right now, everything seems like a disaster, worse than ever. In that sense, we are probably the same as any other generation. The world evolves and we evolve with it. Instead of complaining, we need to keep doing the best we can, as always. this is our role. This does not mean that we believe the world is right and we give our approval. Coaches can not fix the world, we can try to fix small pieces of what we can influence. If we all did this, the world could definitely be in better shape. So, how can we manage the expectations of our clients ‘clients’ coaching? I do not know what the expectations of society are about coaching. I have the presumption that society is not interested in coaching. Even for me, clients do not care about coaching. They only care if someone helps them solve their problems, achieve their goals and live a happier life. This is the basic problem of expectations. If expectations are not met, people respond with disappointment, this toxic mix between anger and sadness. They act as if other people are bound to live up to their expectations. Even though the other person generally does not know what those expectations are. Even when your expectations are met, you are stuck in the foam of society’s expectations. Let’s forget about expectations! Let’s be open to the unexpected and the creativity. Do not worry about what society expects of us. After decades of dissemination and expansion, do you consider that training has evolved? Do not know. I hope so. Coaching is not based on compiled models or tools. Its essence has to do with the sincere intention of the person to help others and be empathic with them. It is based on the coach’s ability to ask the client questions, to ask himself if he could think about them. Latin America is no different from the rest of the world in this respect. In our region, many training schools were opened, as a kind of explosion where there are some very good and some not so much. What is your opinion on this situation? There are different coaching schools predominantly in Europe and Latin America, and the culture of people is different in each place. Colleagues need to be aware of this aspect. All countries need ethical and competent trainers. As co-founder of the ICC, this has always been our mission. To promote an ethical and competent exercise throughout the world. We tell people to “Join us!” If they wish. “If the coach and his client are involved in the fight for freedom, who are their enemies? What blocks this change that the customer wants? Once we started the journey to make IN COACHING possible, the goal was to interview the iconic Joseph O’Connor. He is a key coaching reference in Venezuela, a whole generation of Venezuelan coaches have been trained under their academic precepts. Therefore, it was a challenge for the whole team to achieve this goal. 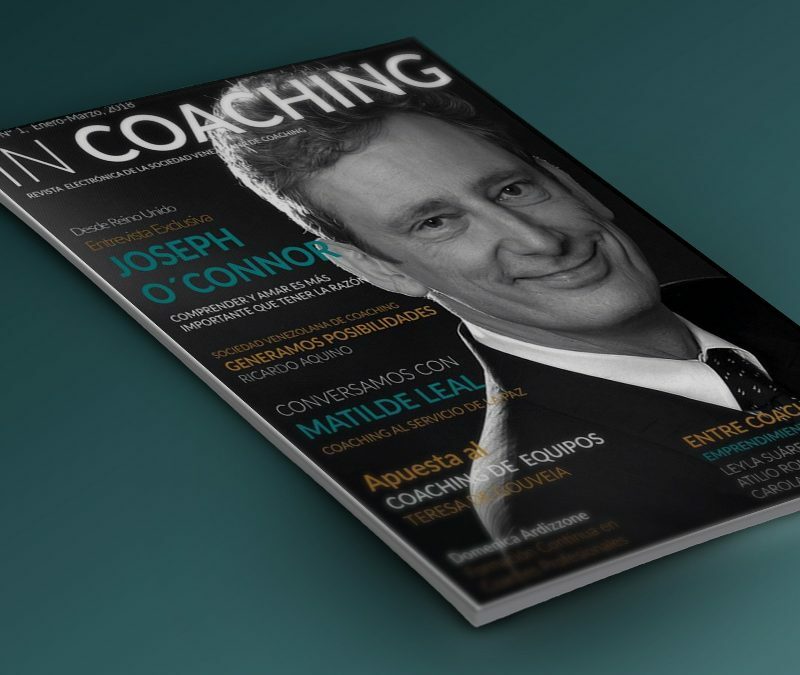 Thus, thanks to the perseverance of our director for the partner of Zulia Region and the Official Coach of Venezuela-Panama Leyla Suárez, we got the interview with Master Trainer O’Connor, a man who captivates each sentence and generates the necessary reflections to extend the vision of coaching and life. Joseph, thank you for the time you gave us for this interview, and we wish to greet you warmly on behalf of all the coaches who make up the Venezuelan Coaching Society.